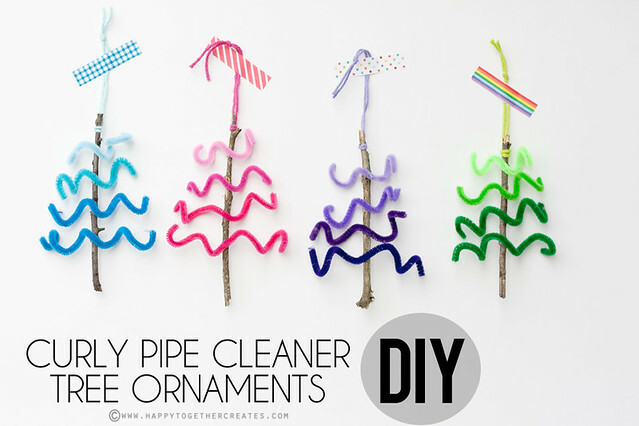 At first glance, these simple trees are probably screaming “kid project.” Right? May I confess these were actually a simple nice “mom project”? Let me explain myself. 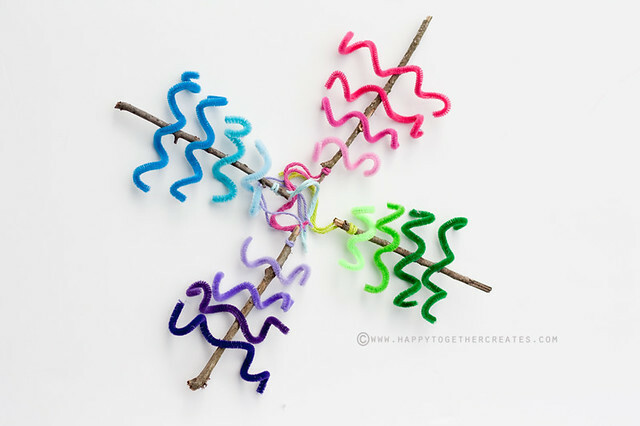 I sat down and made these curly ones. She liked mine, but thought hers was better 😉 I seriously love how that girl is so confident in herself. Love it! 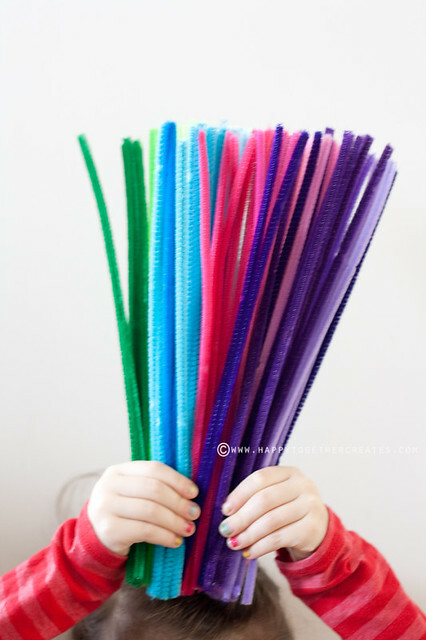 I thought this would be a fun kid project though and wanted to share with you. 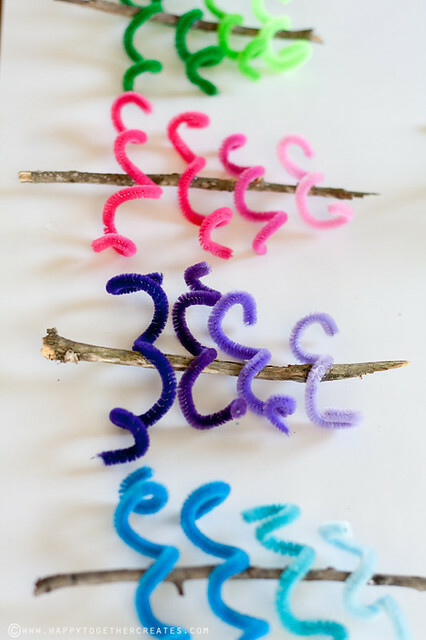 It doesn’t take long at all and can be an inexpensive craft to make. 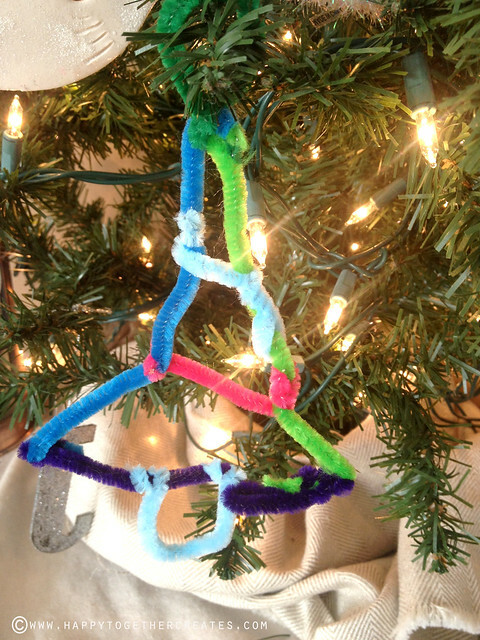 Choose four pipe cleaners for the tree. 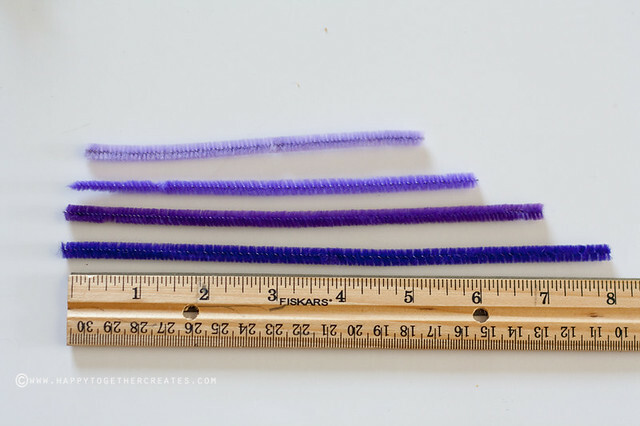 Cut them these lengths from bottom to top: 7″, 6″, 5″, and 4″. 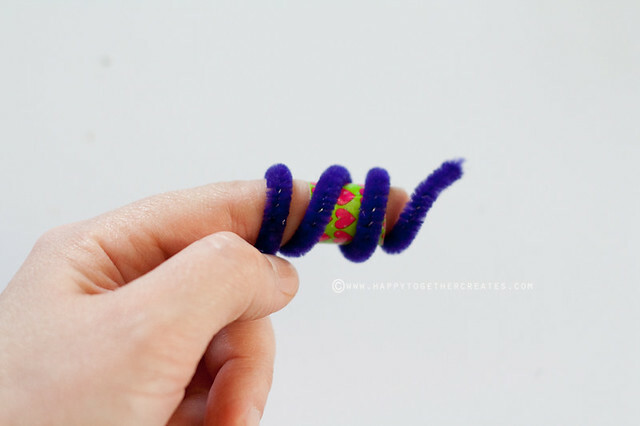 Wrap each one around your finger and then stretch it out. 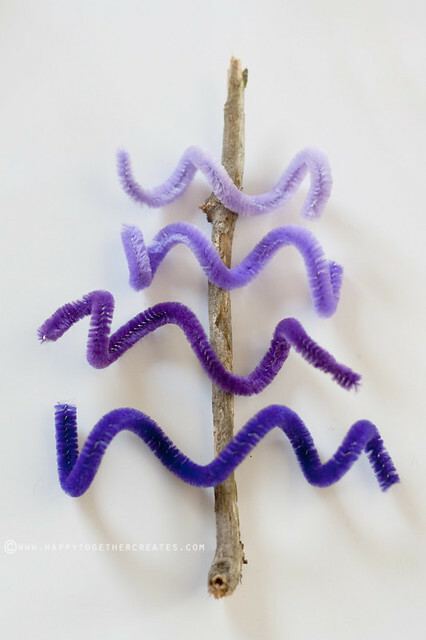 Glue the pipe cleaners onto the stems. 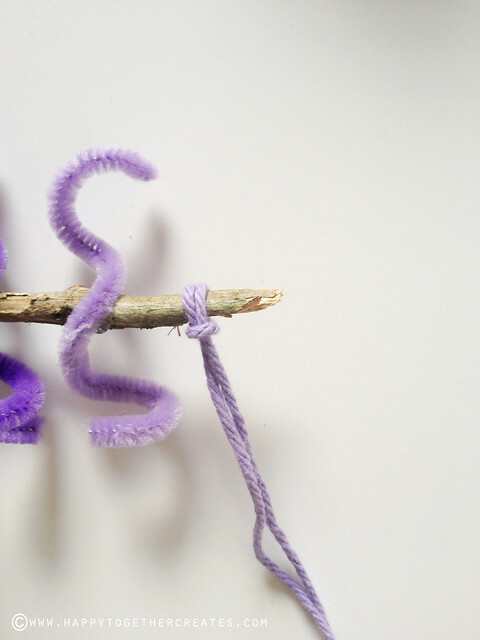 Take a piece of string (mine were 10″ long each) and fold in half. 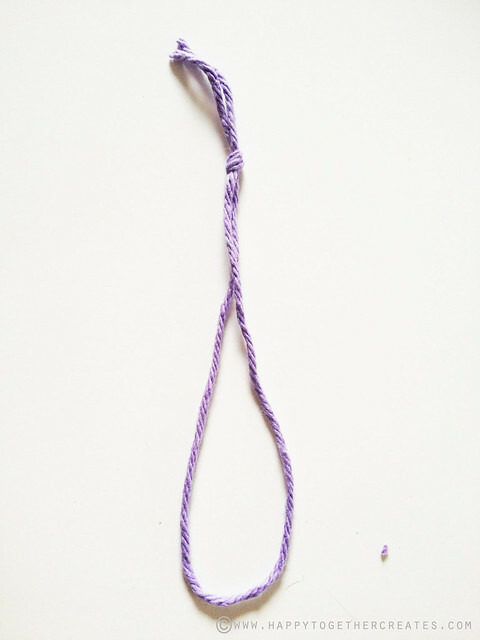 Knot together at open end. 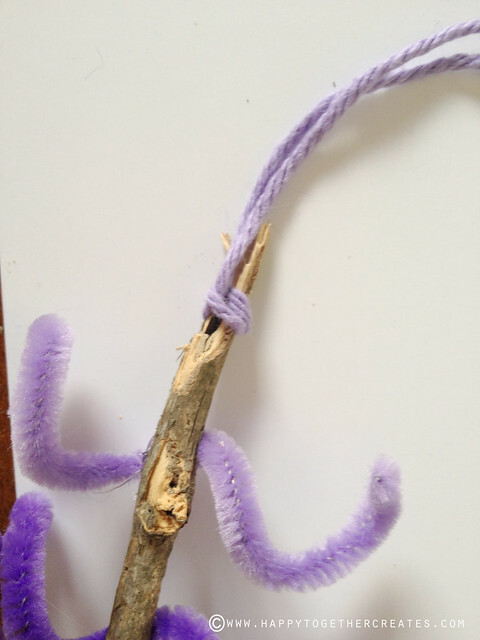 Place top of tree stem in the middle of string. 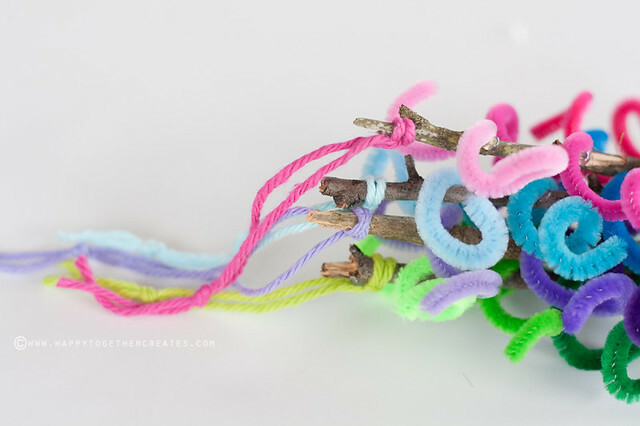 Take the end with the knot and up and over the stem. Pull it through the loop at the other end until tight. 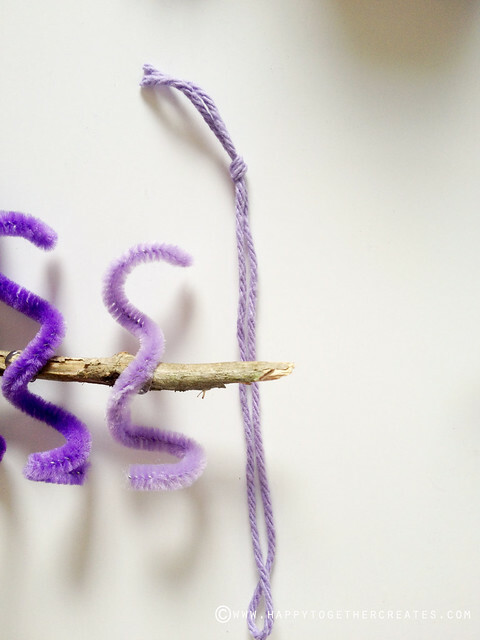 Bring the string to the back and glue in place for extra hold.